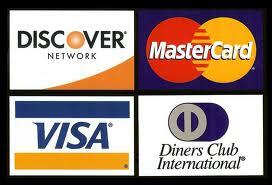 A $5 discount will be given for payments made by cash or check. Online dealer registration and credit card payment will end on Friday at 12:00 am preceding the Sunday show. 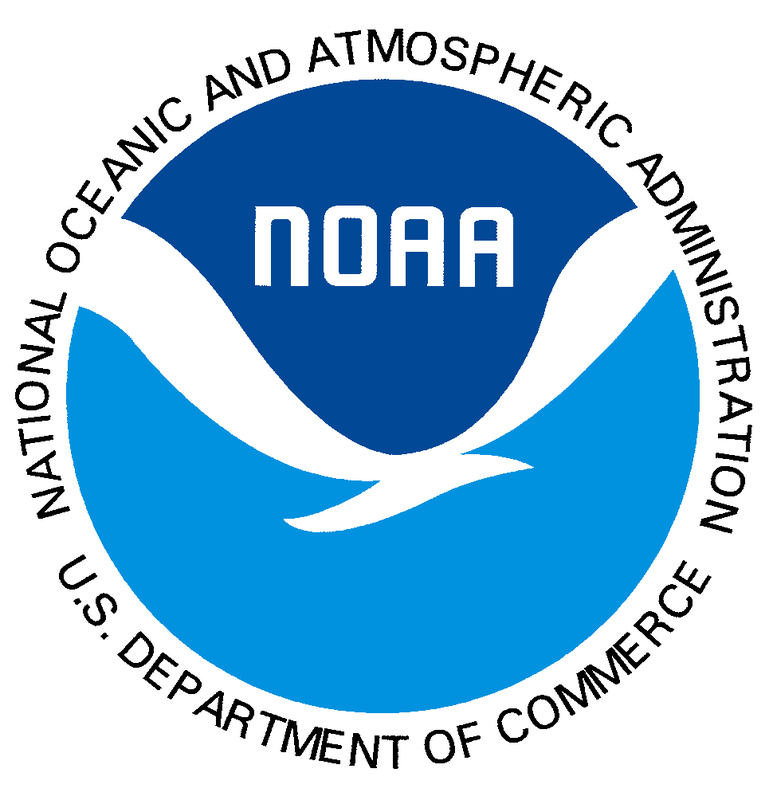 Click to read our "Rain Rollover Date Policy"
The Alameda Point Antiques Faire has established a new Rollover Show Date Policy. If a show is rained out we will automatically schedule a make up show for the following Sunday, the 2nd Sunday of the month. The Rollover date will only be scheduled if the show is cancelled by show management. Check the website for updates before the faire. We will post a notice that the show has been cancelled, along with the rescheduled date. Sign up for Antiques Faire information. You can sign up on our website to receive email notifications for show reminders, information or rain updates. Look for the registration box on the main page of our website. Call the office to hear updates on our outgoing message. 510-522-7500. So rain or shine we will see you at The Point! If it’s a rainout show, we hope to see you on the 2nd Sunday of the month! If it rains on the 2nd Sunday we will NOT have another rollover. The show will be held on its regular day, the 1st Sunday of the following month. 8:00 am: Sellers must be set up by this time. (please note - no will call booths are held after 7 am. Feel free to contact us for additional information or if you need help with the reservation process. Antiques By The Bay, Inc. PLEASE NOTE: Our office is closed on the Monday following the Faire. No will call reservations will be held after 7:00 am. Set up must be completed by 8:00 am. Seller’s vehicles may not move on or off the field from 8:00 am-3:30 pm. Vendors may park one vehicle in each booth. Additional Vendor parking is available at the back of the show. Vendors are not allowed to park along the northern boundry fence (Estuary side) unless approved for handicaped parking. SELLERS MUST NOT BEGIN PACKING UNTIL 3:00 PM. GATES OPEN FOR MOVE OUT AT 3:30 PM. SELLERS MUST BE OFF THE SITE BY 7:30 PM. A 15’ X 20’ space costs $155.00. Additional booth spaces are $130.00. Only 2 persons are allowed to sell per booth. Note: Food and Farmer's Market Vendors must contact the office directly to sign up. The cancellation deadline is Friday at noon prior to our Sunday show or your prepaid rental will be forfeited. Credit will be applied to future shows. The cancellation deadline for a rained-out show is Saturday at noon, prior to our Sunday show. One Vehicle may remain in the selling space. Vehicles over 20’ including trailers or additional vehicles will require purchasing a second space. The speed limit inside the event is 5 MPH and 15 MPH in the parking lot. Pedestrians have the right of way at all times. No Vendor vehicle movement is allowed between 8:00am-3:00pm. SPEED LIMITS MUST BE ADHERED TO FOR THE SAFETY OF OUR SELLERS, EMPLOYEES AND CUSTOMERS! No electricity is available to booths. No generators will be allowed. Tables are available for rent at $10 per table, on a first-come, first served basis, advanced reservation is recommended; or you can bring your own. Chairs are not available to rent. All sellers must have a California State Board of Equalization Resale Permit if you sell more than 2 times per year. If you sell only one or two times each year, you need to complete and sign a California State Board of Equalization Form B0E410d to acknowledge that you are an “Occasional Seller”. This form is available to download from our website and must be returned to our office before you sell at our show. Each seller shall comply with all applicable city, county, state and federal laws and shall hold the management harmless against any failure to do so. Exhibitors will sell only Antiques and Collectibles. However, we require that all collectibles be 20 years or older. No new items will be sold at this event. Exceptions will be books, price lists, and catalogs directly related to the Antiques and Collectibles trade. Also small items which relate to the restoration and preservation of Antiques and Collectibles, such as polishes, finish restorers, and plate holders. The producers will check the show and any new items or inappropriate items must be removed. Any disagreement will be decided by the producer. 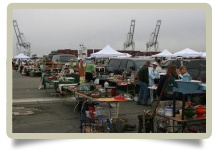 Management reserves the right to ask any vendor to pack up and leave with a full refund or to exclude any vendor from exhibiting at future events if, in its opinion, that seller’s display or merchandise does not meet the standards of the Alameda Point Antiques and Collectibles Faire. No arranging or displaying of any merchandise inside trucks or any vehicle is permitted. All merchandise must be placed on the selling field. No animals, gas filled balloons, guns or ammunition may be sold. Due to the family atmosphere of the market the management reserves the right to restrict the sale of printed adult (X-Rated) material, photographs, books, and magazines in order to maintain a proper moral and wholesome environment. No vendor shall display any adult related materials in any manner which would allow them to be seen by minors. Offensive materials such as Nazi items are not permitted to be sold or displayed at our show. We will endeavor to assign the same booth location to sellers returning on a monthly basis but cannot guarantee the same location due to the size of our event. To guarantee the same booth location, sellers must pay three months in advance. Sellers who miss two consecutive shows or do not have a substitute for two consecutive shows will forfeit their booth(s) location.e. No pets are allowed. Sellers are not permitted to bring pets, even if they remain in a vehicle. The Alameda Point Antique and Collectible Faire site is immediately adjacent to a protected area for an endangered species of bird. 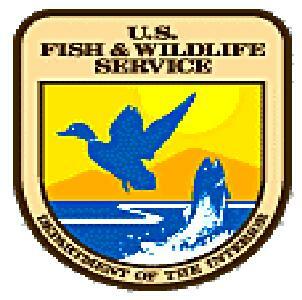 This is a designated wildlife Sanctuary. This restriction is to protect that area and will be strictly enforced. Violators are subject to citation. This is a requirement of our use permit and there will be absolutely no exceptions to this rule. The seller is advised that the producer assumes no responsibility whatsoever to insure the safety or protect in any way, the property of the seller from fire, theft, malicious mischief, accident, rain, wind, or other perils. The seller is charged with the responsibility of protecting his/her own property at all times during the event. In consideration of the producers accepting my booth rent, I and any companions, helpers, family members, or others occupying the booth, intending to be legally bound for myself, my successors, assigns, heirs, executors and administrators, waive and release any and all rights and claims against persons and organizations affiliated with this event: the producers, ARRA, the United States Navy, the City of Alameda, the County of Alameda and the State of California, while participating at this event, traveling to or from this event or at any future time. Allen Michan, Sandra Michaan or Randie Bradley at (510) 522-7500. This application with your check made out to Antiques By The Bay, Inc. should be mailed to 2700 Saratoga Street, Alameda, CA 94501. Booth spaces will be available for this event on first come first serve basis, subject to availability. The acceptance of this Sellers Permit constitutes the implied agreement by the sellers to adhere to Antiques and Collectibles Faire Rules and Regulations. All sellers and their helpers assume all risk of personal injury and loss of property. Management reserves the right to revoke any license granted by this contract. When leaving, your space MUST be in the same condition as when you arrived or you may be banned from future Antiques and Collectibles Street Faires. Violators are subject to clean-up charges. This includes cigarette butts. A maximum of two adults will be admitted per space. Any helper must enter along with the vehicle containing selling merchandise. Additional helpers (above 1) or those coming after the vehicle has entered, will be required to pay regular admission. Children under sixteen will be admitted free. Food vendors are allowed additional staff as needed. Please advise us of the number of passes you require. All dealings conducted by personnel must be performed so as not to infringe upon the rights of the sellers of offend sellers or offend visitors to the event. Should the seller desire to pass out printed material, or other articles, this must take place only from the assigned space subject to prior management approval. No manner of attracting attention in a noisy or an undignified manner will be permitted. No loud music or amplified voice equipment or systems are permitted. The producer retains the rights to restrict, exclude or evict sellers or exhibits which, because of their method of operation, noise or other features, become objectionable or which, in the opinion of the producer may detract from the general character of the event as a whole. This includes persons, things, printed matter, or anything else the producer judges to be objectionable. If the above mentioned action becomes necessary, the producer may retain the rent paid as liquidated damages for breach of this agreement. Sellers Permit will be revoked if a seller picks up people outside trying to gain early admission. Any revocation for this violation will be permanent and seller will be banned from any future shows. A reward of $100.00 will be paid to any person providing information leading to the arrest and conviction of anyone offering for sale stole goods at the Alameda Point Antiques and Collectibles Faire. Information must be presented to the manager of the event or appropriate law enforcement authorities. The management reserves the right to reasonably refuse service and/or booth rental to anyone, or to require any vendor to leave upon refund of their booth rental. All sellers setting up a canopy in a space must have it properly anchored and constructed. The management shall not be responsible or liable for a seller’s use of a canopy or its construction. Each seller shall hold the management harmless from and indemnify the management against any injury or property damage that may occur due to the use of a canopy. If a seller erects a canopy, the management reserves the right to require the seller to take it down at any time due to windy conditions, however the management will not be liable for this decision. The management will not give refunds if it requires the removal of canopies. Sellers are not to make any holes in the selling or parking area surfaces. Canopies must be erected within boundaries of the booth and no overhang outside these boundaries will be allowed. Any tent or canopy which can hold more than ten people must have a State Fire Marshall tag indicating that it is flame retardant. The management reserves the right to formulate additional rules and regulations if necessary and each seller shall abide by such additional rules and regulations, of if unwilling to do so, sellers are entitled to a cancellation refund and will not be admitted to the selling field. Sellers are required to keep their booth area and the area directly in front of their booth clean. All sellers must leave their booth area clean when they exit. Trash, boxes, cigarette butts, or other debris may not be left on the grounds. In consideration to others, there shall be no cigar smoking at anytime by either buyers or sellers. Any person violating this rule will be asked to leave. This includes parking areas. No liquids shall be transferred or demonstrated at the Alameda Point Antiques and Collectibles Faire. Any liquids (such as paint stripper, etc.) must be kept in sealed containers at all times. No parking shall be allowed at any time within twenty feet of any fire hydrant or fire department connection. Any vehicle illegally parked will be immediately towed. No vendor is allowed to have any open container or flammable or combustible liquids, or use any flammable or combustible liquids for repair or demonstration purpose. Food preparation liquids and beverages are exempted. All sellers are required to use commercial routes entering and leaving the event. These routes are provided in the seller’s confirmation packet. The approved route to enter Alameda via the Webster/Alameda Posey Tube and travel west on Atlantic Avenue to the event site. Any spillage of liquids must be cleaned up in an appropriate fashion with absorbent spill kits. Vendors will be charged for any such services provided by Faire management. There is to be no washing down of any area. THIS INCLUDES LEAKS FROM CAR OR TRUCKS. The City of Alameda does not allow any overnight sleeping in vehicles. A list of Alameda motel accommodation is available upon request. We are required to maintain a full, 20 foot fire aisle/lane at all times. Please do not allow your merchandise to protrude beyond the boundaries of your booth.